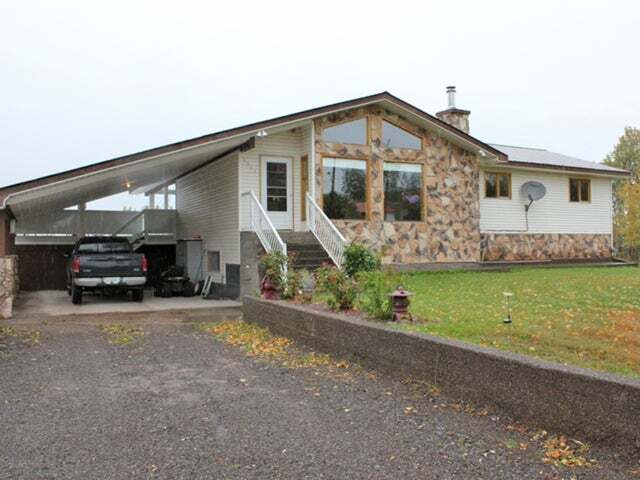 Large 6 bedroom, 3 bathroom house on 2.07 acres in Telkwa. This home has been very well kept with many renovations since 2009 including granite kitchen countertops, all electrical switches and plugs, pot lighting, flooring, downstairs bathr oom and many new fixtures. Enjoy the open living spaces with the high vaulted ceiling on the main level. The spacious kitchen provides plenty of room with two large islands and plenty of cabinet space. All kitchen appliances are included. The large deck overlooks the yard which is cleared and has tons of room for outdoor activities. There are two attached workshop areas, perfect for any handyman or car enthusiast. The house has suite potential with basement entry. View today!